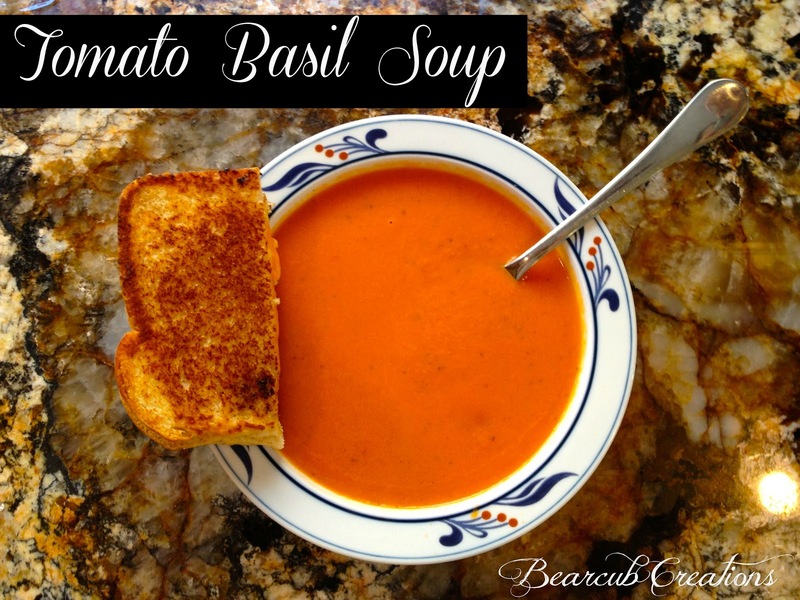 I love Tomato Basil Soup! I actually have a habit of trying it at just about every restaurant that has it but not many come close to being as good as Nordstrom's Tomato Basil Soup. In a medium sauce pan, heat about 2 tablespoons of Olive Oil. Sauté carrots and onions with salt and pepper for about 10 minutes, until the onion softens. Add basil and garlic and sauté for another 2-3 minutes. Add tomatoes and chicken broth and simmer for 45 minutes. Remove soup from heat and blend the soup. I used my Immersion Blender. I LOVE this thing! You can use a regular blender or food processor too but the Immersion Blender makes it so much easier and much less clean-up. Once soup has been blended smooth, slowly add cream in to your likeness. Salt and pepper to taste.